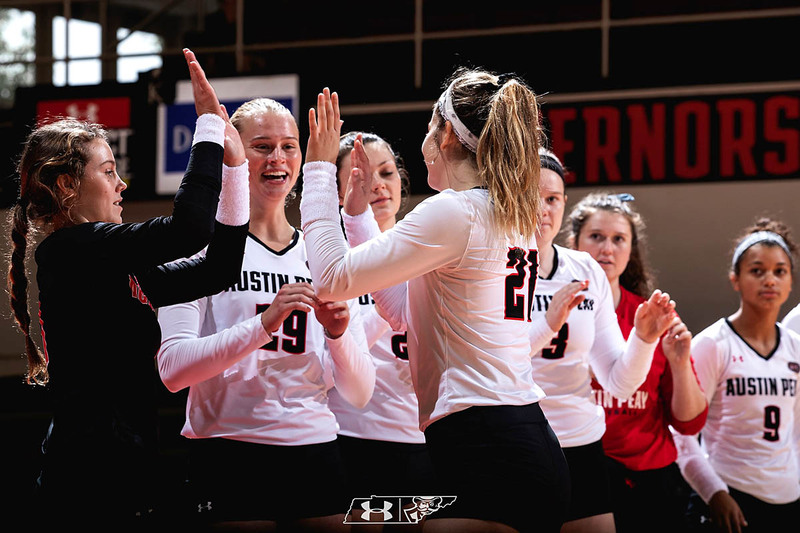 The Govs opened 2018 with a 3-0 mark at UMKC’s Kangaroo Klassic, last weekend, and then nearly swept the Ohio Valley Conference’s weekly awards. Senior outside hitter Cecily Gable opened ’18 in impressive fashion, tying her career high with 17 kills in back-to-back matches before breaking the mark with 19 kills against UMKC. She was named the OVC’s co-Offensive Player of the Week. For the 15th time in her career, senior setter Kristen Stucker was named the OVC Setter of the Week. 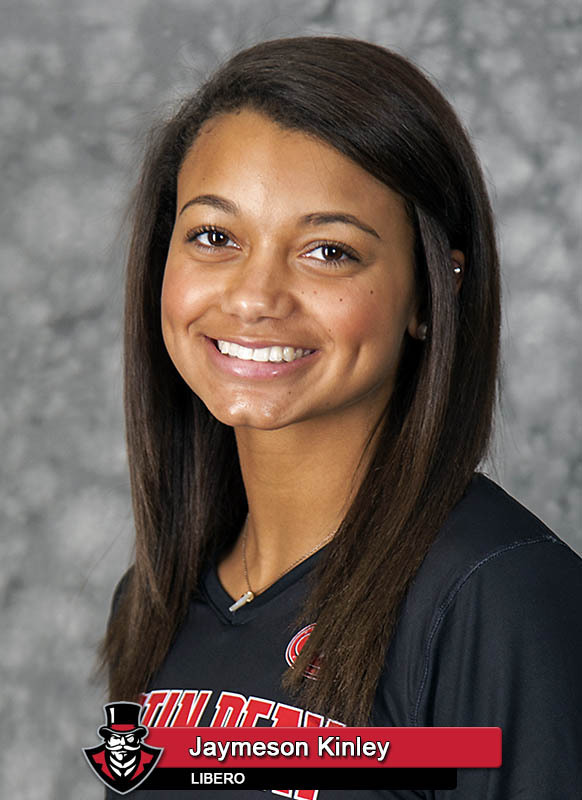 She posted 10.67 assists per set and led the Govs to a .218 team attack percentage in KC. Freshman Jaymeson Kinley opened her collegiate career with a eye-opening 66-dig performance in Kansas City, including a 34-dig outing in the tourney finale. She was named both the OVC Defensive Player and Newcomer of the Week. 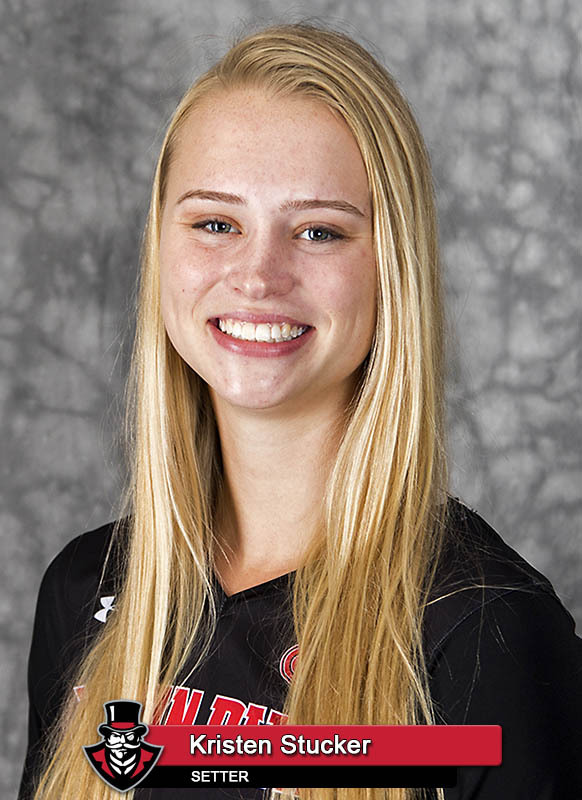 Senior middle blocker Kaylee Taff was one of three players to record eight blocks at the UMKC tournament. She became the 12th Governors player to record 200 blocks in a career. Senior setter Kristen Stucker, the two-time reigning OVC Setter of the Year, was a preseason All-OVC pick for a second consecutive season. 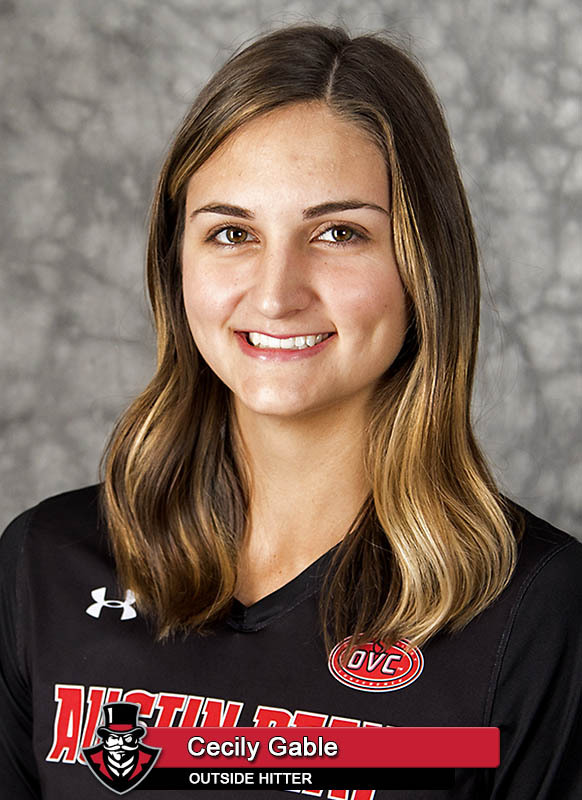 Sophomore outside hitter Brooke Moore also earned preseason All-OVC honors. Last season, she became the first freshman in league history to earn OVC Tournament Most Valuable Player honors. Head coach Taylor Mott became the first APSU head coach since 1992 to earn OVC Coach of the Year honors. She notched her 400th career win at Tennessee Tech, October 13th. And two weeks later (October 27th at Eastern Illinois) became the second head coach to record 100 wins at APSU. The Governors were picked second in the OVC’s preseason poll of coaches and sports information directors. It is the second consecutive season APSU has been picked second in the poll. However, APSU was the top pick of more than half the voters in that preseason poll. The Govs 14 first-place votes outpaced preseason favorite Murray State’s 10 first-place votes.